So much for scraps. I mean, we all save them, right? Always looking for that perfect pattern to use them up. How about digging around in a trash can for batik scraps thrown away by fellow quilters during a sewing day? I am not kidding - I did it and here is the result! I couldn’t let that happen. My guild understands my quirks and laughed and poked fun at me. The FREE 8-page pdf of Trash Basket Batiks is full of illustrations and ways to create four different flower pots, along with those yo-yo flowers and even the ones with "crazy hair" type blooms. 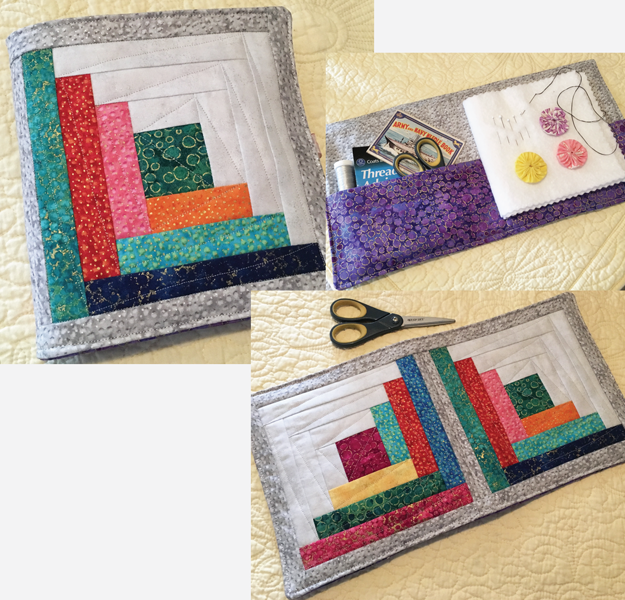 While this was an improvisational quilt for me, in order to get this published I had to write it as a reproducible pattern. Lucky you! Hope you enjoy this. Let me know what you think and maybe your craziest story about rescuing scraps. Can you beat mine? On my 3 mile walk today I was humming to my tunes and thinking hard about some fabric. 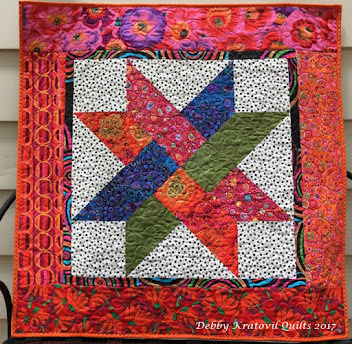 I knew I had used a particular Kaffe Fassett print in a quilt as a center circle (or partial circle) but it eluded me as to which one. 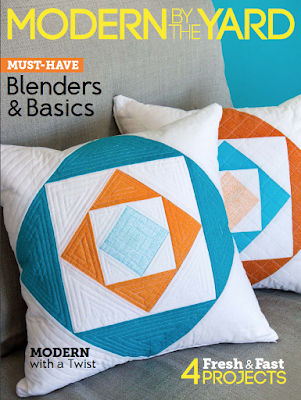 You may be thinking: "Does this woman not know what her quilts look like?" Yes. But I've made so many over the past 22 years that I don't always keep things straight. 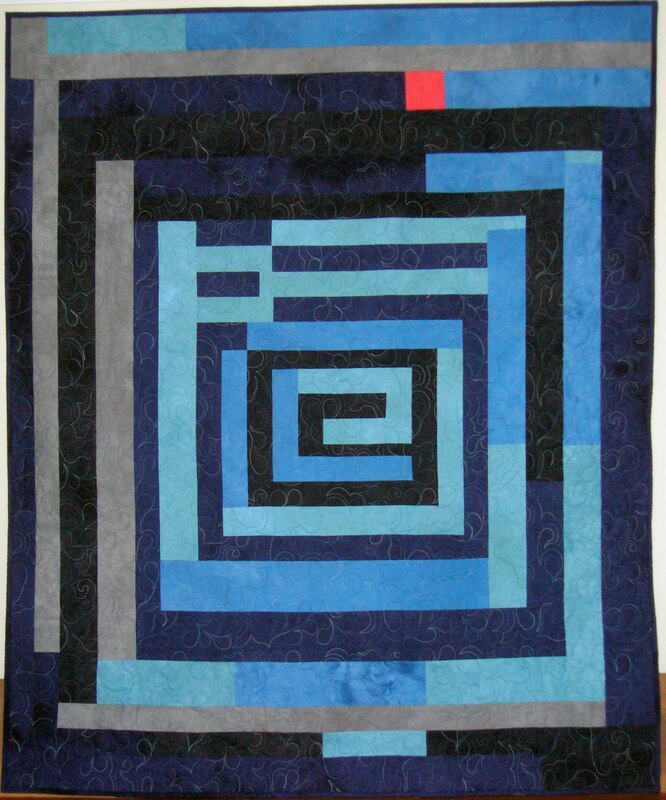 My Geese Have the Blues: 12" blocks; 38" x 38"
This appears in my 2014 Wall Calendar of Quilts (out of print). Maybe you have the calendar? 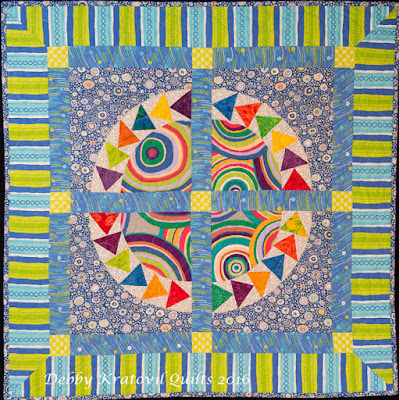 What's a little wild Targets fabric in those center circles going to hurt anyone? I think it continues the movement of the Flying Geese, don't you? 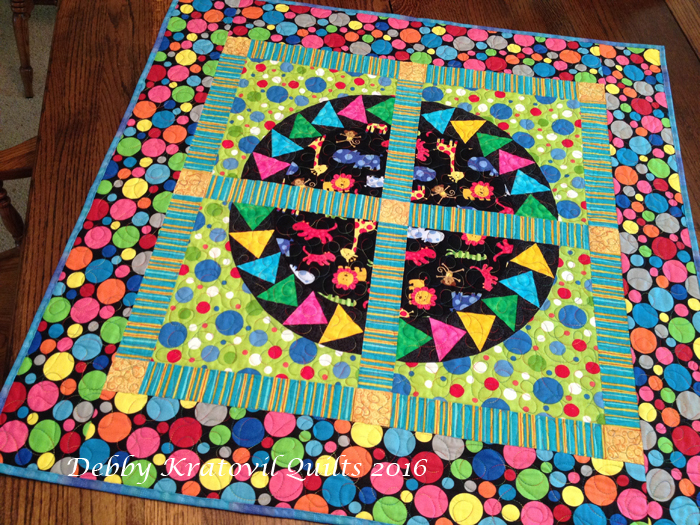 And I was having such fun with this pattern that I created two other samples using children's novelty prints. I patterned these quilts (actually, only the first one, but the pictures of these two go along with the pattern on Craftsy). 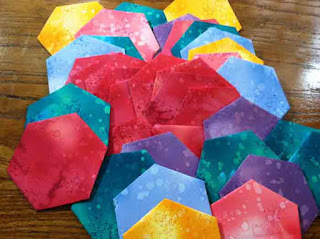 Making those Flying Geese in a ring is not hard with paper piecing. And I really had fun using those novelty prints. 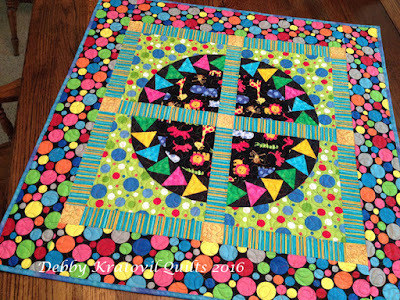 Now I have two baby quilts on hand for gifts. I quilted these last two on my HandiQuilter Sweet 16. This is Diamond in the Logs and was made using the 4" ruler. Yes, there are 16 blocks! 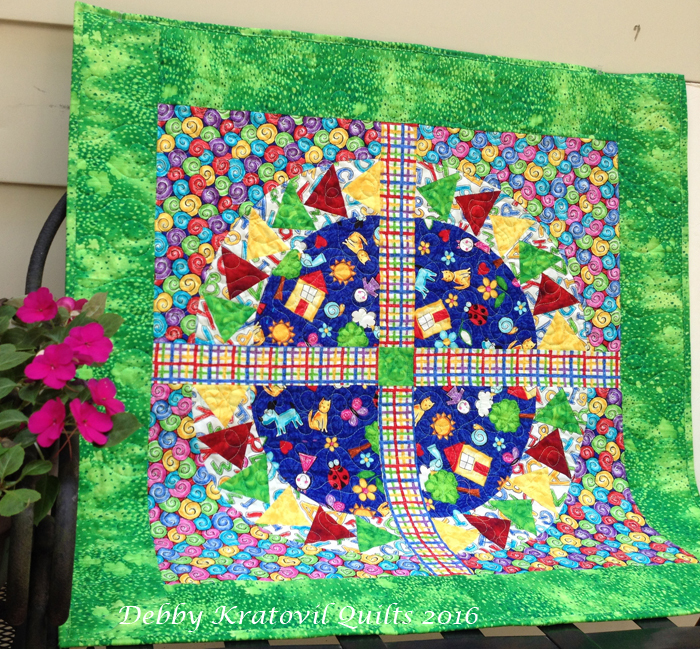 Diamond in the Logs: 23" x 23"
These are quilt shop exclusive. I don't sell them myself. Check with your local shop. I enjoy making log cabin blocks. 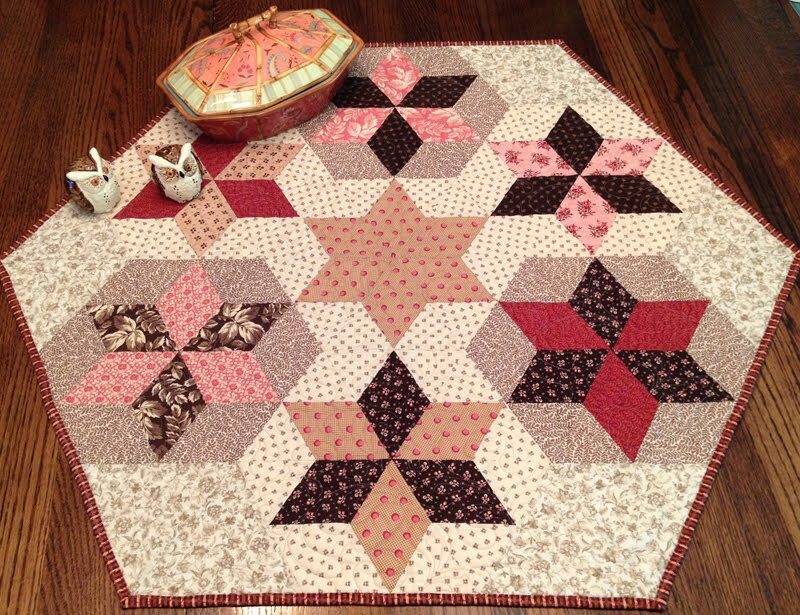 It is a great way to use up scraps. 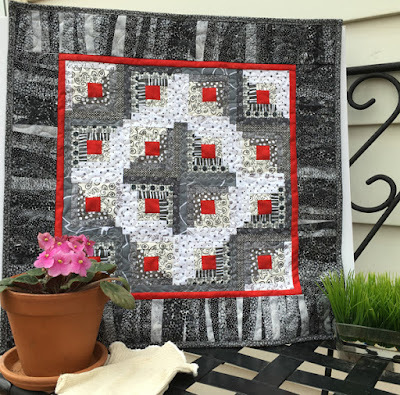 My gray, white and red one used several different prints. And my little sewing book used quite a few. Thanks for stopping by. I have a few more things up my sleeve and I'm going back to my sewing machine for now! 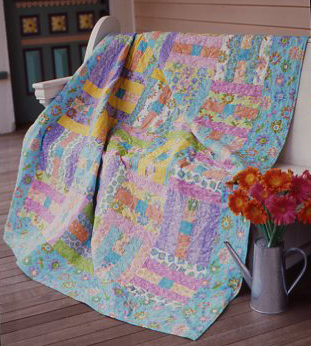 When I was a contributing editor for Quilt Magazine, we featured Kaffe Fassett and his Field Notes as an article in every issue. (Click that link to read all 16 of these awesome articles.) We invited him to talk about his work, his inspiration and his fabrics. I sewed with a LOT of those fabrics and had them published as quickly as I made them. 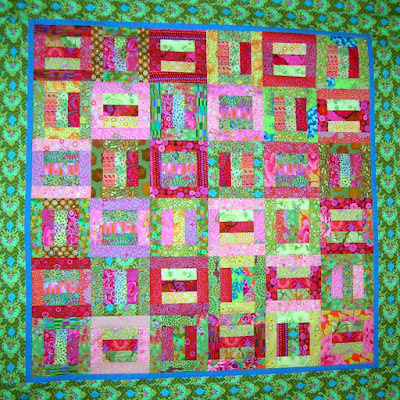 At least 11 of those quilts made it into my book, Supersize 'Em Quilts and I even gave a signed copy to Kaffe at Spring Market in 2009. 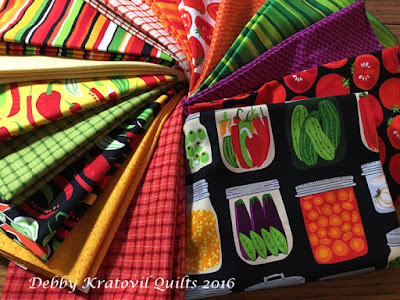 I have recently discovered a Facebook page devoted to Kaffe and his fabrics (along with Brandon Mabley and Phillip Jacobs). 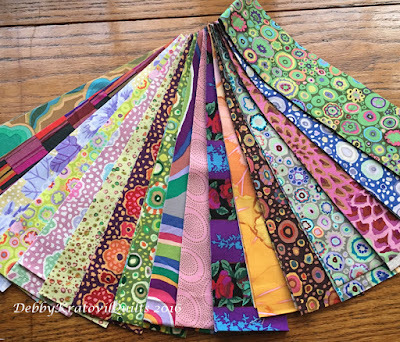 And I've begun cutting up my very large stash of his fabrics into 2-1/2" strips. 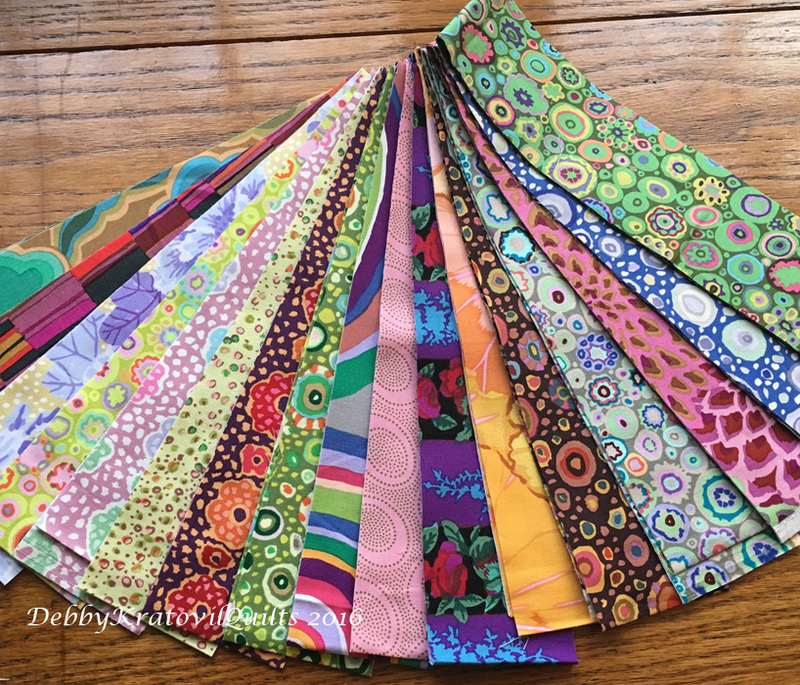 Why buy a jelly roll bundle when you can create your own? 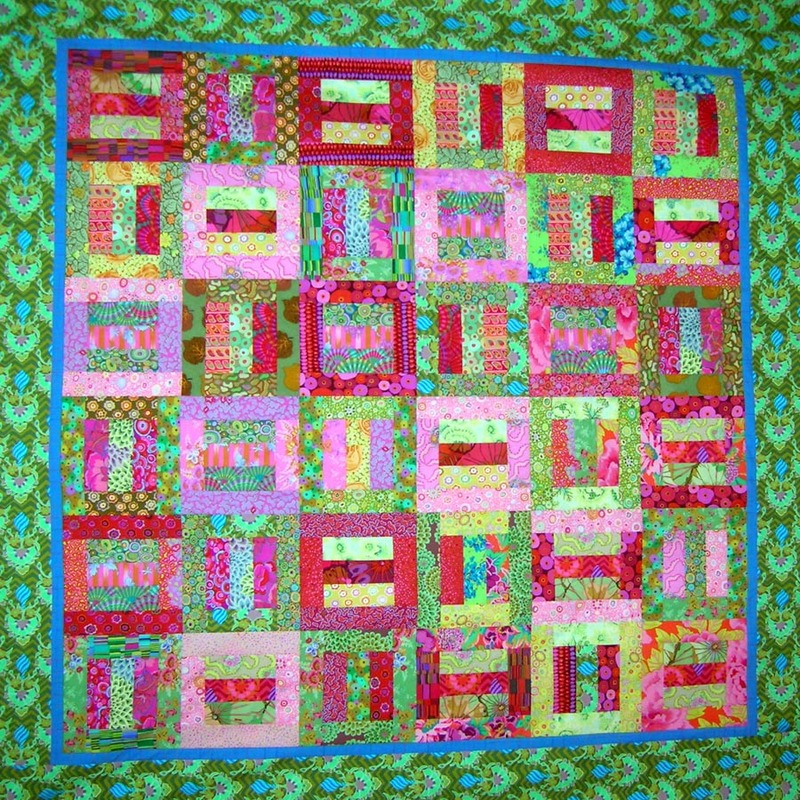 So far, I've cut 27 strips with another 2 dozen to come (which includes the stripes and plaids). Note: I didn't buy this fabric or I would be in the poor house! 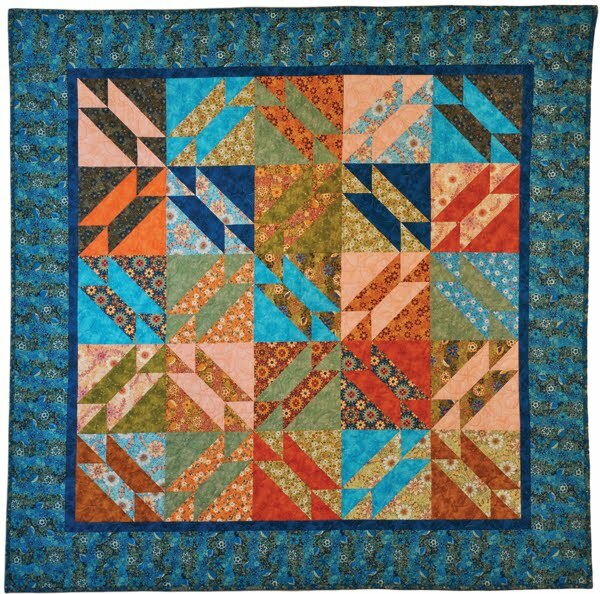 It was part of working for a quilt magazine. The following strips were cut from the Lille Collection. These are "older" from almost 10 years ago. But they are still awesome, aren't they? Now, what can you do with 2-1/2" strips? Are you kidding? So many ideas, so little time! Remember this Logs and Mortar pattern I shared a few months ago? Free! 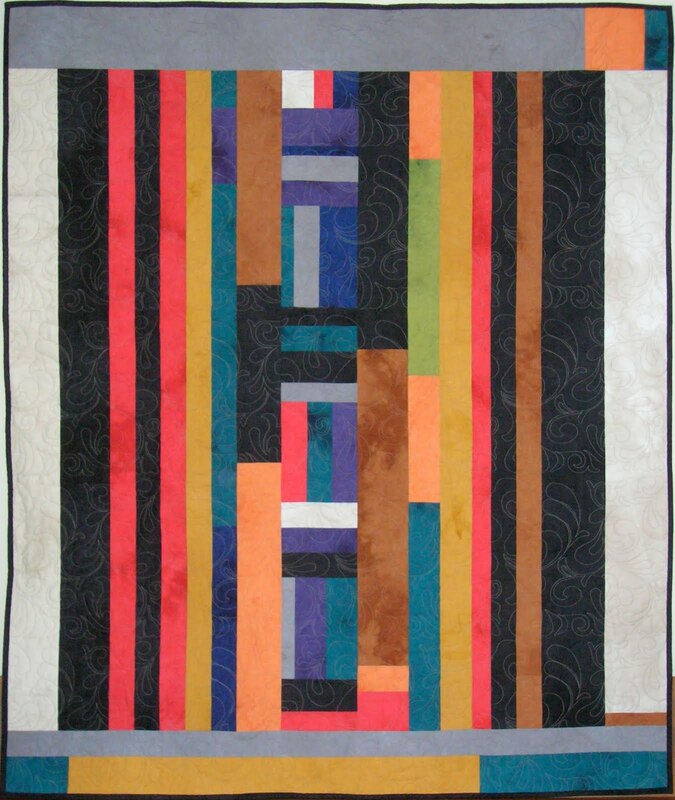 Now for one of the quilts I designed for use with Kaffe Fasset strips. 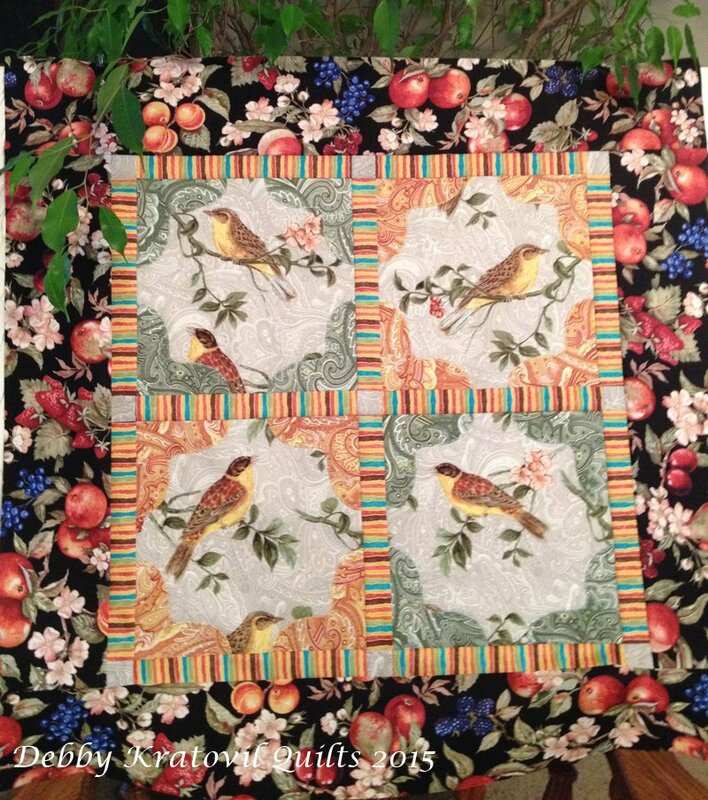 This was one of the two dozen quilts I created for the KF Club for a quilt shop in Atlanta. I call this Simply Strips. The only picture I have is the unquilted top. Not sure where the quilt went, but it's not in my closets! Would you like the pattern? Did I really need to ask that? It is a very simple two page pdf of my teaching notes with clear diagrams and steps on how to create the blocks. You don't have to get all "matchey-matchey." 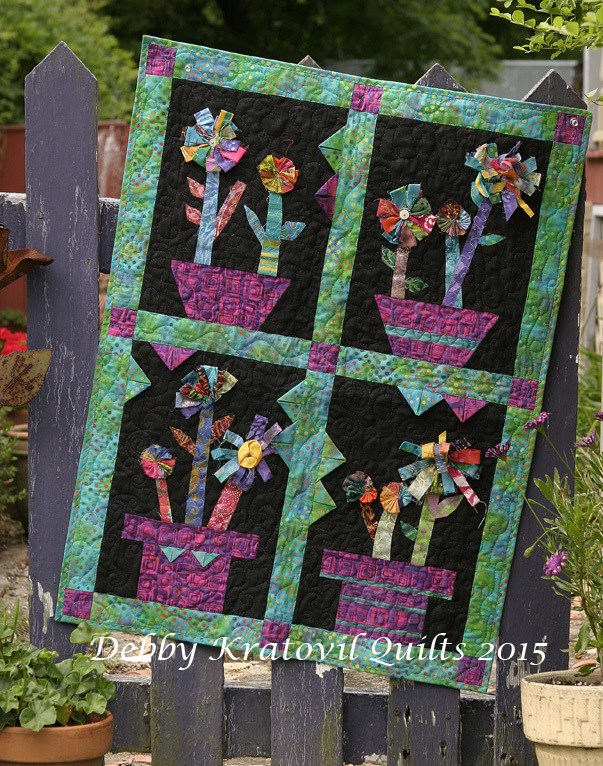 Just enjoy placing the fabrics in this variation on the Rail Fence block. You can find Simply Strips - for free - at my Craftsy Store. Enjoy! Today I am sharing about a new collection called "What's in My Pantry?" and again, it's all about vegetables. You may doubt it once I get going, but trust me, OK? 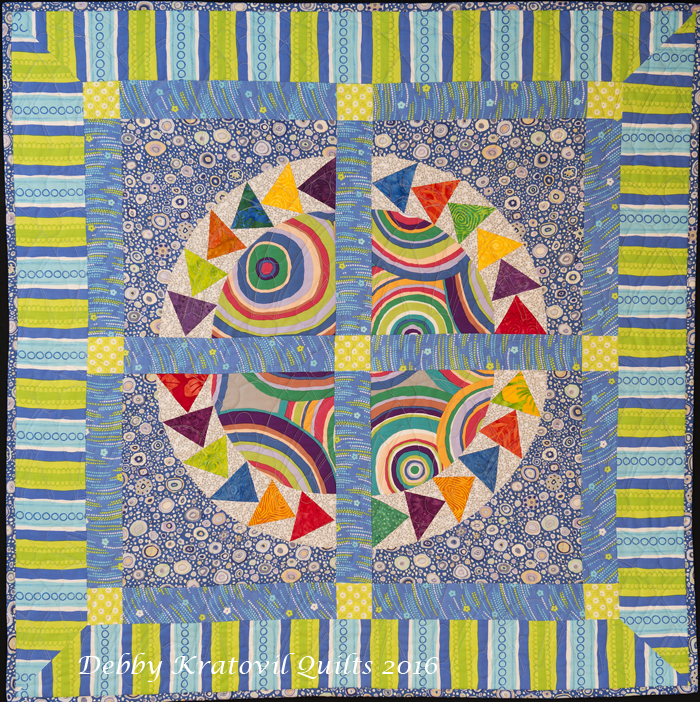 The full tutorial is on the Benartex blog: Sew in Love with Fabric. Go check it out to see what I did. I combined some Fleur de Lis applique patches with these veggie prints and it got kind of crazy. 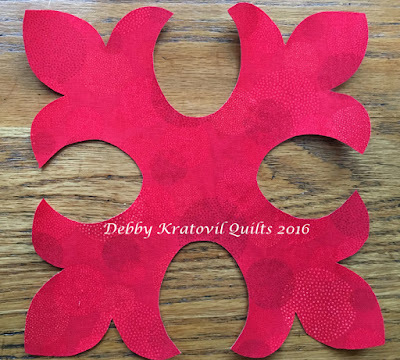 Check it out and then come back to get the free template for the Fleur de Lis patch. This new eMagazine has been updated. You can now DOWNLOAD it - for free! You do not have to give any personal information, nor should you be asked to pay for this. Just launched by Benartex, Modern by the Yard 32 page e-magazine. Free. Beautiful. 4 projects and all sorts of inspiration. 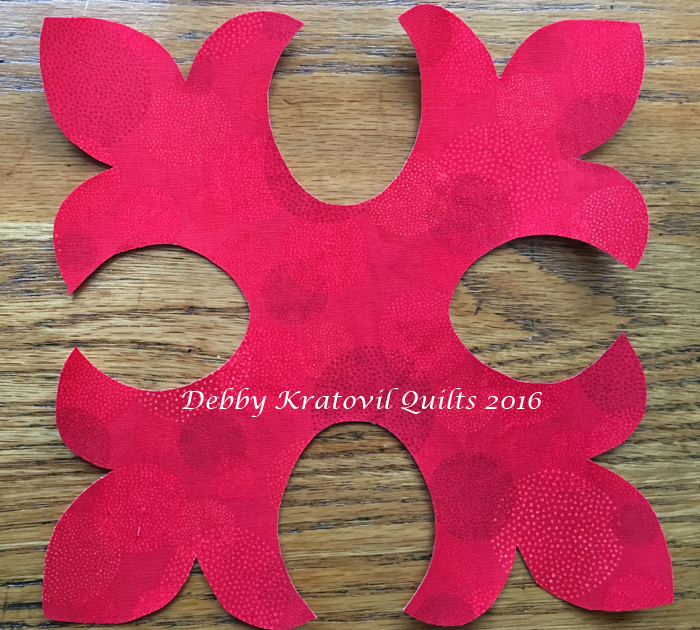 One of them is mine using some Fossil Fern hexies. What are you waiting for? Click the link above. Did I say, "WOW"? 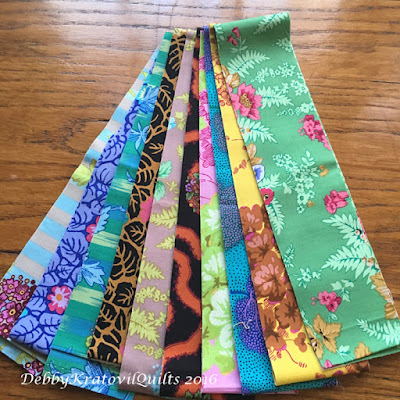 You can see several of the pages at the Sew in Love with Fabric blog. So beautiful!